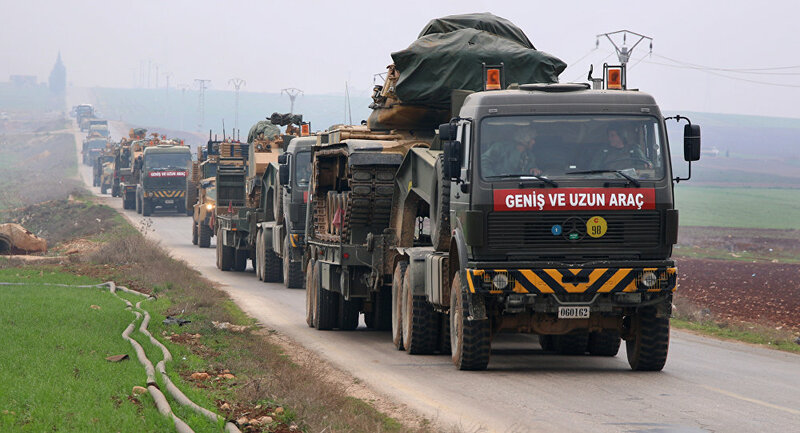 On Thursday, Turkey's Central Command sent parts of the country's special police forces and the gendarmerie to the area of Afrin in Syria, aiming to support the Olive Branch operation, the Turkish Yeni Shafak media reports. According to the outlet, special forces have already started their duty in their new location, which includes de-mining and search operations, primarily in the city. The special forces are also tasked to counteract night attacks by terrorists. In addition, these units can be used in battles in the central part of Afrin. The media outlet recalled that the special operations forces of the Ministry of Internal Affairs of Turkey and the gendarmerie gained considerable experience in counter-terrorism operations in the cities of Silopi, Idil, Yuksekova, Nusaybin and Shirnak in the south-east of Turkey in 2016. The report follows the recent resolution unanimously adopted by the UN Security Council on February 27, which urges all parties to the Syrian conflict to immediately stop all clashes and adhere to a long-term humanitarian truce on the entire territory of Syria in order to ensure safe and unhindered humanitarian aid supplies, as well as medical evacuations for those injured. The document, however, specified that the ceasefire does not apply to military operations against Daesh, al-Qaeda, and Jabhat Fatah al-Sham (formerly known as the Nusra Front) terrorist groups. Thus the Turkish side, which has been accused by US State Department spokesperson Heather Nauert's of violating the Syrian truce, stressed that Ankara's military operation against Kurdish forces in Afrin had been aimed against terrorists. Turkey has been conducting its military operation code-named "Olive Branch" in the Kurdish-dominated area of Afrin for over a month. The advance was triggered by Washington's announcement that it would begin training a 30,000-strong border security force, comprised of the Kurdish People's Protection Units (YPG) and the Democratic Union Party (PYD), which Ankara considers affiliates of the Turkish Kurdistan Workers' Party (PKK), listed as a terrorist organization by Turkey. Reacting to the Turkish military advance, Damascus has expressed its opposition to the Turkish operation, saying that such actions violate Syrian sovereignty.